Get your first 30 minutes free. No credit card required to get your first 30 minutes free. Just send your task to our team and we get to work. Charging you only for the minutes it takes to complete the task. 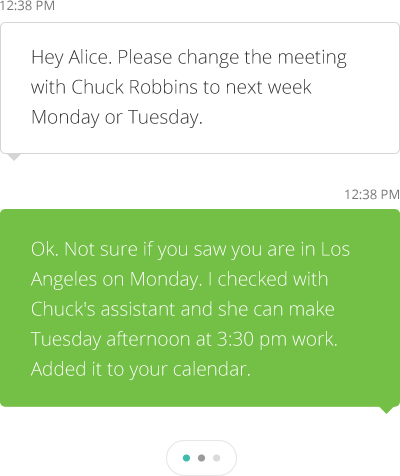 If you have more then 20 hours per month of work for your Helpware NOW Assistant - we will set a fixed schedule for you to have access to your worker during those scheduled hours. The Helpware NOW Team of Virtual Assistants can handle any type of task - handling your schedule, creating marketing documentation, or managing your books and expenses. How much does Helpware NOW cost? Where is Helpware NOW handling the work? We work from our own offices in the US, Europe and Asia. We do not employ a remote workforce. All of our workers are working from our offices, and enjoy the support of our management structure and quality control team. What type of tasks does Helpware NOW handle? We take on any task that we feel comfortable to complete to your satisfaction. Just try us! How fast do you complete the job? We will schedule resources for your tasks immediately. Each set of tasks have their own turnaround time - some are more complex than others. You will be able to work out turn around times with your resource who we assign to you the same day of your requests.